1. Prepare Lamb Brand Couscous according to packet instructions. 2. Prepare Tzatziki by whisking together the natural yoghurt, cucumber, garlic powder, lemon zest, lemon juice and dill. 3. Season with salt and ground pepper. Chill. 4. Cook Lamb Koftas in the oven as per cooking instructions. 5. Chop basil leaves very finely and mix together with olive oil, some salt and ground pepper in a jar, close lid and shake very well. 6. Assemble the cherry tomatoes and mozzarella balls on toothpicks and drizzle with the prepared basil dressing. 7. Shred few lettuce leaves and put aside. 8. 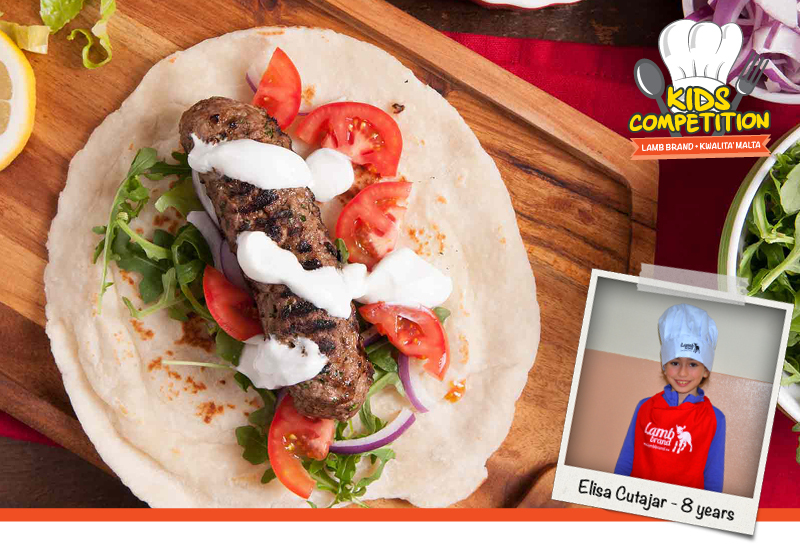 Prepare wraps by filling in with couscous, place cooked kofta on top and drizzle on Tzatziki. Top with a few lettuce leaves. 9. Close wrap and serve with the cherry tomato and mozzarella sticks on the side.